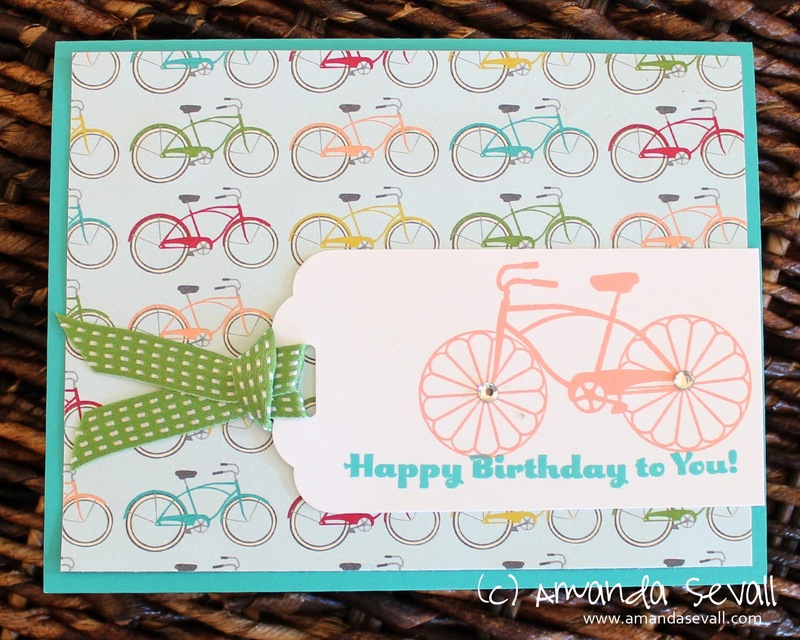 Another simple, cute card using the Scalloped Tag Topper punch! I also love this Designer Series Paper. Super cute!! Bikes are definitely a favorite around our house.... thanks to my husband the cyclist! 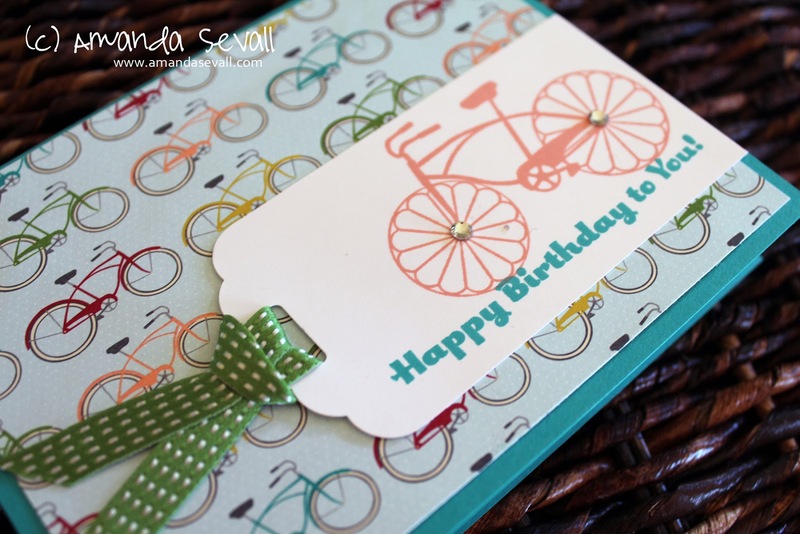 I don't have anyone in my life that is enough into biking to send a themed card, but it's still cute!